Daryl Johnson (Worcester Park, United Kingdom) on 15 September 2008 in Architecture. 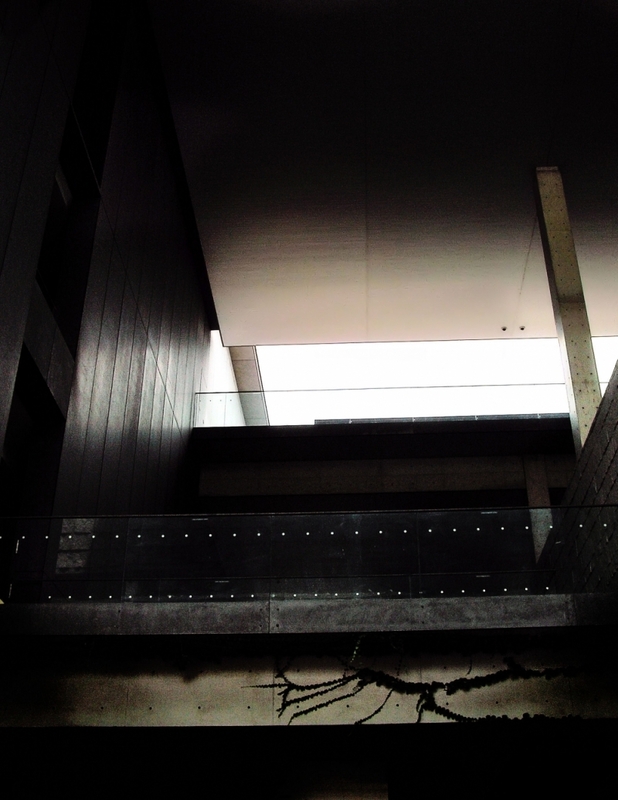 Hyogo Museum of Modern Art, Kobe. Nearly abstract, well composed shot. I like! Lot's of different textures on this one, and difficult to make out exactly what is what. But it's an interesting shot. hey mate -- wonderful shot here -- so cavernous and dark! love the lighting and the wall sheen! I really like this one , it´s got some kind of mystery..